Villa Ria Sayan is a privately owned, but professionally managed, luxury villa retreat that is available for rental when its owner is not in Bali. 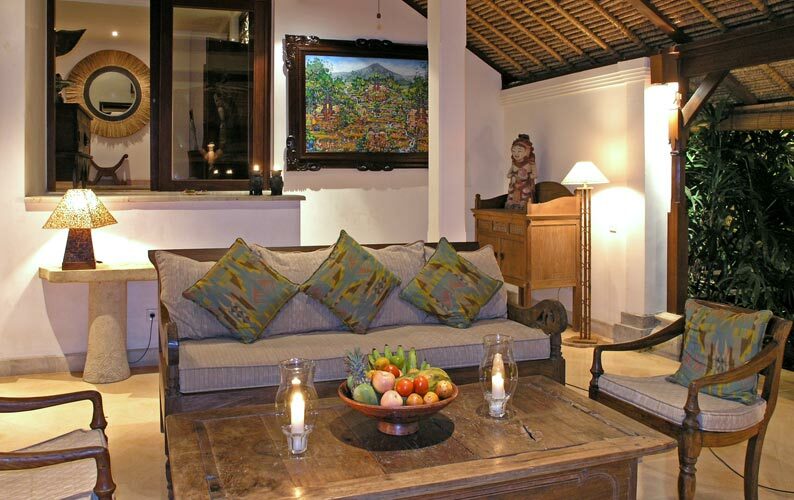 Villa Ria is located down a narrow, private drive in a traditional Balinese village, a few minute drive from Ubud. The private, walled compound is perched on the edge of the famous Sayan Ridge with spectacular views across the gorge to terraced rice fields, an active Balinese temple, and views to the volcanoes beyond. You will see the farmers planting, cultivating, and harvesting their rice crop and you will hear the haunting sounds of traditional chants and music drifting across the valley from the temple. 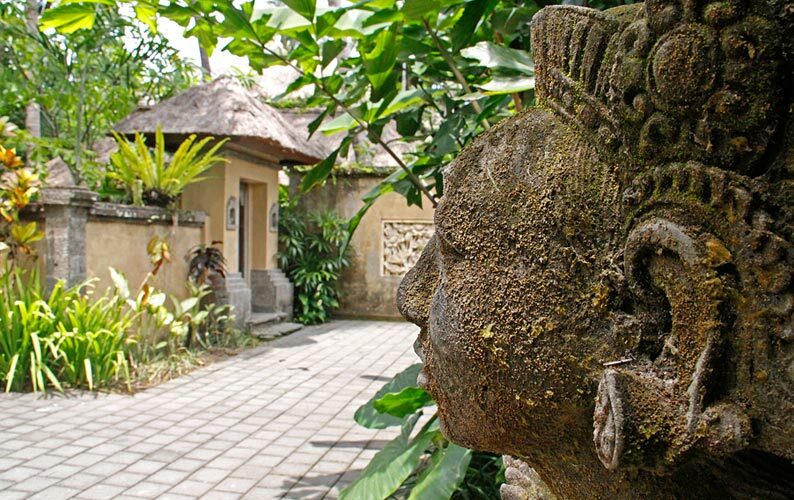 You will find yourself surrounded by the peace, beauty, and magic of traditional Bali.